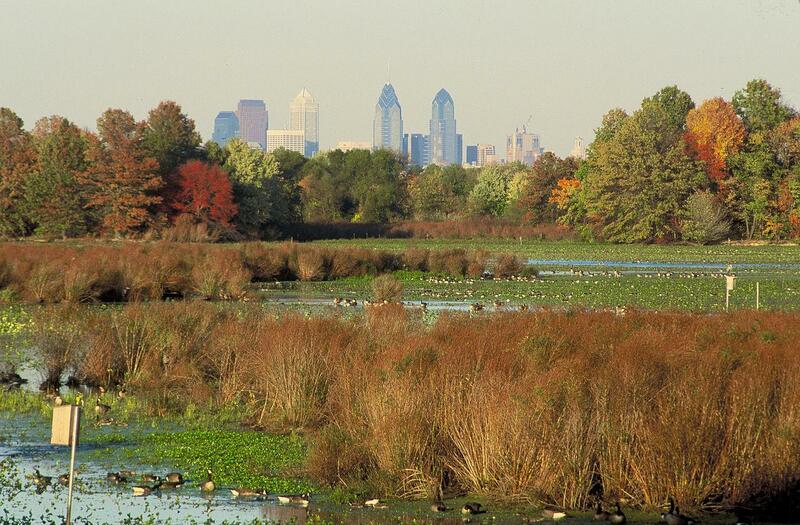 Ridley Creek State Park covers more than 2,000 acres in Delaware County. Trout are regularly stocked in Ridley Creek so avid anglers can better enjoy their visits here. An ADA-accessible fishing platform is provided. Hikers and bikers will find an extensive network of trails. There's a five-mile paved trail that is commonly used for biking, jogging and cross-country skiing. There are also 4.7 miles of equestrian trails. Tyler Arboretum is located in Delaware County. The sprawling 650-acre facility is one of the largest of its kind in the northeastern U.S. Enjoy tranquility and beauty along 17 miles of hiking trails. Sheep and Wool Day is an annual event held at Springton Manor Farm in Chester County. Take in the sheep shearing demonstration, and then check out the arts and crafts vendors. Live music fills the air as the kids enjoy the wagon rides. They'll also like the Colonial-era games that will be played. Tractors and other farm equipment will be on display. The prospective southern Chester and Delaware counties home buyer will have both historic and modern homes to consider. There are 19th century Victorians among the homes for sale as well as newer properties that may be of interest. Many of the more recently constructed southern Chester County and Delaware County homes will feature energy-saving systems, multi-car garages, deluxe kitchens and even home theaters. Young families seeking starter homes will certainly find suitable properties as they engage in their search. Homes also includes estate-style residences for the discriminating buyer. There is truly something for everyone! The Mottola Group can identify the residential real estate in southern Chester and Delaware counties that will speak to your needs. Trust that the Mottola Group can save you time as you consider the many homes for sale.